J2EE is a platform for developing distributed enterprise software applications. Since the inception of the Java language, it has undergone tremendous adoption and growth. More and more technologies have become part of the Java platform, and new APIs and standards have been developed to address various needs. Eventually, Sun and a group of industry leaders, under the auspices of the open Java Community Process (JCP), unified all these enterprise-related standards and APIs into the J2EE Platform. J2EE establishes standards for areas of enterprise computing needs such as database connectivity, enterprise business components, message-oriented middleware (MOM), Web-related components, communication protocols, and interoperability. J2EE promotes best-of-breed implementations based on open standards, protecting technological investment. J2EE provides a standard platform for building software components that are portable across vendor implementations, avoiding vendor lock-in. J2EE increases time-to-market since much of the infrastructure and plumbing is provided by the vendors' products that are implemented according to the standard J2EE specification. IT organizations can now get out of the middleware business and concentrate on building applications for their business. J2EE increases programmer productivity, since Java programmers can relatively easily learn J2EE technologies based on the Java language. 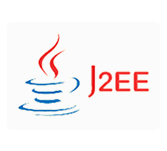 All enterprise software development can be accomplished under the J2EE platform, using Java as the programming language. J2EE promotes interoperability within existing heterogenous environments.